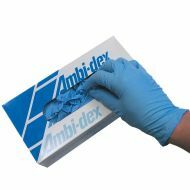 100% nitrile disposable gloves, ambidexterous, dispenser box of 100. 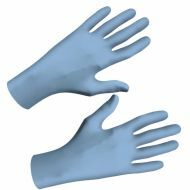 100% nitrile disposable latex-free lightly powdered N-DEX® gloves from Best Glove by Globus & Showa. 100% nitrile disposable latex-free powder-free N-DEX® gloves from Best Glove by Globus & Showa. Economy grade latex-free 100% nitrile gloves from Best Glove by Globus & Showa.